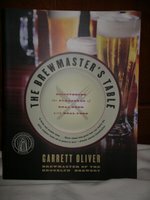 Just a quick note here to describe how excited I am over the arrival of Garrett Oliver's book. I know, I know it's been around for a while and I too wonder what took me so long to finally order it. I've heard so much of it from beer writers extolling its excellence. And, let me also join in the praise. Just from my 30 minute perusal of its contents, the subtitled 'Discovering the Pleasures of Real Beer with Real Food' looks to have so much valuable content packed into it. I'm looking so forward to making my way through it. I would love to take off a week from work and just work my way through its 350+ pages. Seriously, though, wouldn't you? 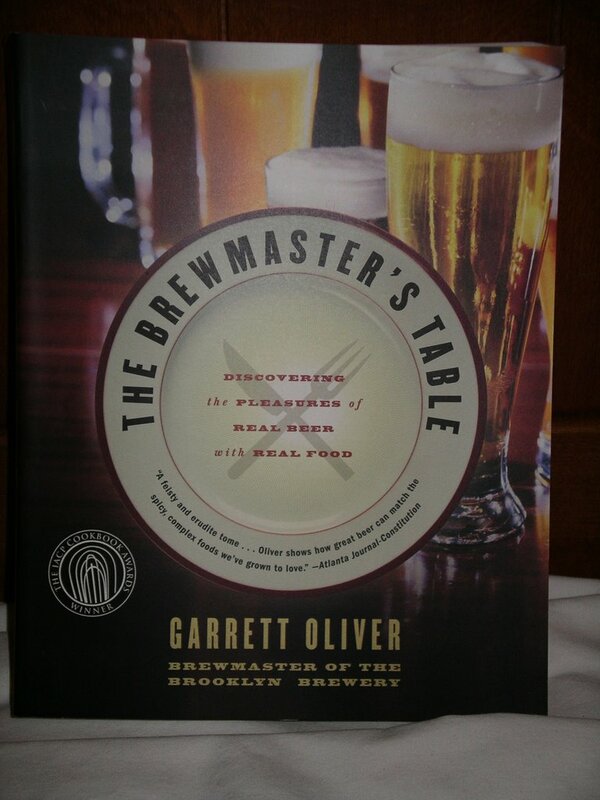 Here's just a sampling of the categories of chapters: Principles of Matching Beer with Food; Brewing Traditions; and Glassware, Temperature, Storage, and Service. And the book concludes with Beer with Food: A Reference Chart. I'm sure it will live up to its reputation which, in my case, has preceded it. I look forward to deepening my appreciation of the pairing of beer with food.